McGraw, Mick (2018) The International Academic Printmaking Alliance Second Invitational Exhibition 2018. 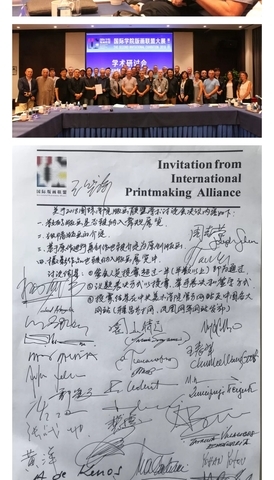 In: The International Academic Printmaking Alliance Second Invitational Exhibition 2018, 22- 25 September 2018, Taoxichuan Museum of Art, Jingdezhen City, China. 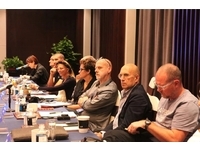 Since the establishment of IAPA (international Academic Printmaking Alliance) in 2016, academic exchange on Printmaking among international academics of fine art has been increasingly frequent. 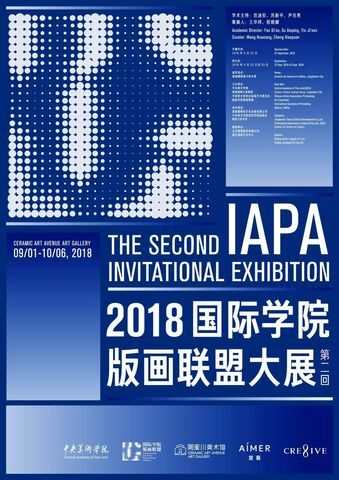 In this context, the first IAPA Grand Exhibition was held in the Imperial Ancestral Temple, Beijing in 2016, providing a panoramic view of printmaking around the world. 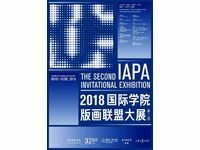 The Second IAPA Exhibition to be held this year will focus on discussion, defining and understanding the concept of printmaking from a culture-specific perspective while showing the development of printmaking worldwide. Due to such considerations, Jingdezhen City, Jianxi Province, China is selected as the venue for the 2018 exhibition, an ancient city known as the capital of ceramics and a world renowned contemporary ceramics R&D centre. My invitation to participate in this exhibition came from Chairman Wang Huixiang of the Central Academy of Fine Art in Beijing. They were looking to include the most prominent academic staff across the world working with Printmaking and wanted to showcase the work I was making. I submitted two lithographs to this exhibition, The Accelerating Exodus and The Extension. These prints are based on the architecture of the refugee camp, one using imagery of a UNHCR camp in Jordan and the other from Kutapalong in Bangladesh. I have superimposed these works with a structure based around recent developments in the efficiencies of temporary living structures, using three dimensional paper models of tents and temporary buildings being utilised by the UNHCR across disaster zones. These works push the boundaries of print using digital technologies, drawing, model-making and lithographic printing methods to realise the works. As part of the invitation to exhibit my work at the International Academic Printmaking Alliance Second Invitational Exhibition 2018, I was invited to do a presentation on my own research and how this relates to my practice in Scotland. 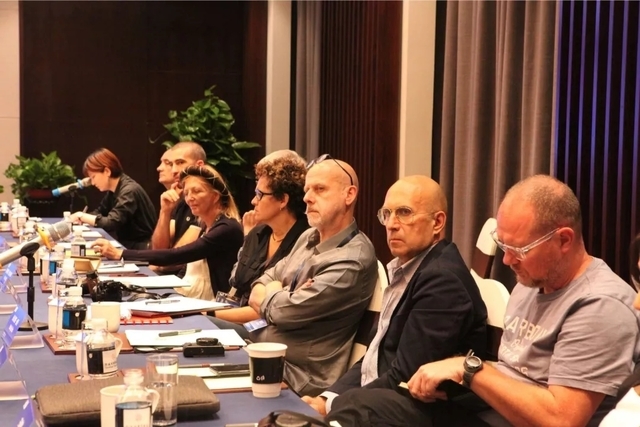 The conference/symposium was attended by many international artists working with print from all over Europe, Russia, Argentina, Central America, Peurto Rico, Canada, Australia and South Africa to name a few, in conjunction with a wide range of Chinese artists from across the country. 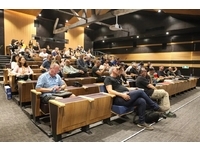 These artists are all considered to be the leading proponents of print across the world and were invited to disseminate their research, both contextual and practical to the entire group of delegates. 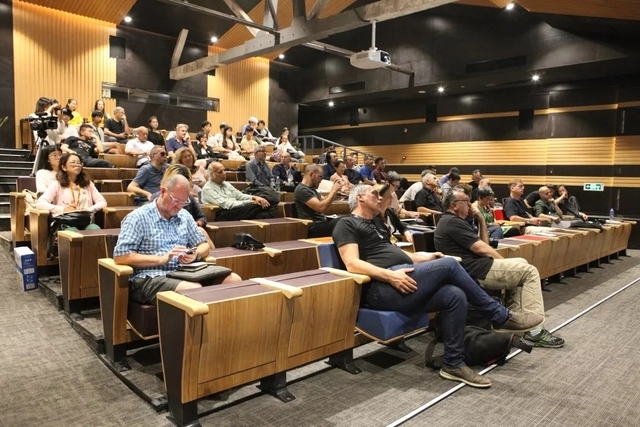 My presentation focussed on my own research and practice, being able to deal with many aspects of the intense technicalities involved in the making process as the other delegates shared a knowledge base of similar or related methods. The organisers from CAFA Beijing were very keen for the resulting dialogue between delegates to interrogate a number of questions as they arose through the proceedings.They were very keen to debate the role that Printmaking should have on a global scale, making comparisons with the status that other art forms command in galleries, art fairs and biennials, with the intention to escalate the status of print to rival the representation of these other art forms. A signed document from every delegate at the culmination of the conference was recorded to take forward a bigger, global debate about print and its cultural status, commercial value, representation and stature through public collections.